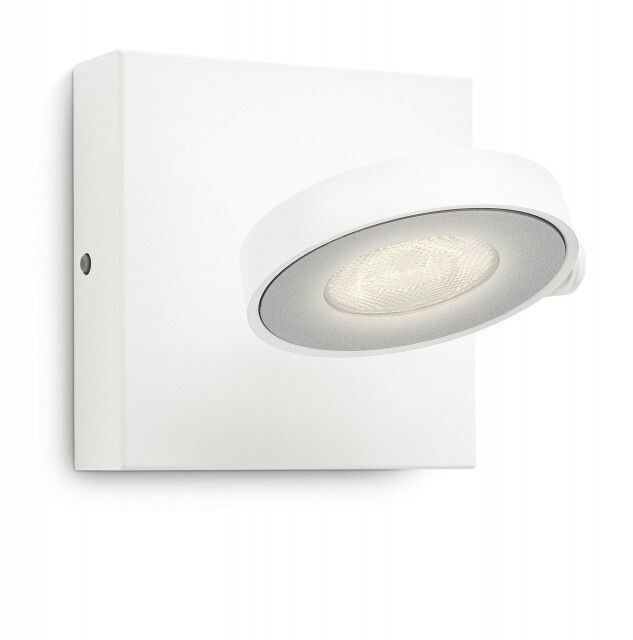 This Philips Clockwork wall spot in white has a pure geometric shape. 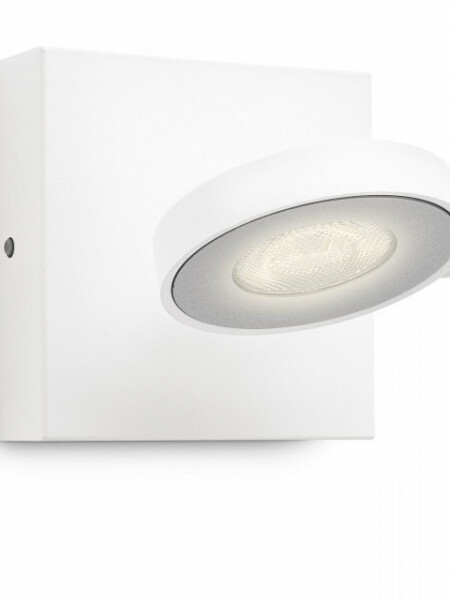 The large adjustable head features LED lights circled by a grey accent ring. 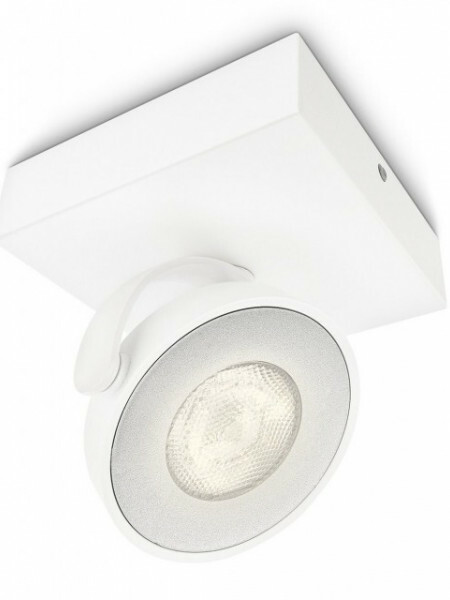 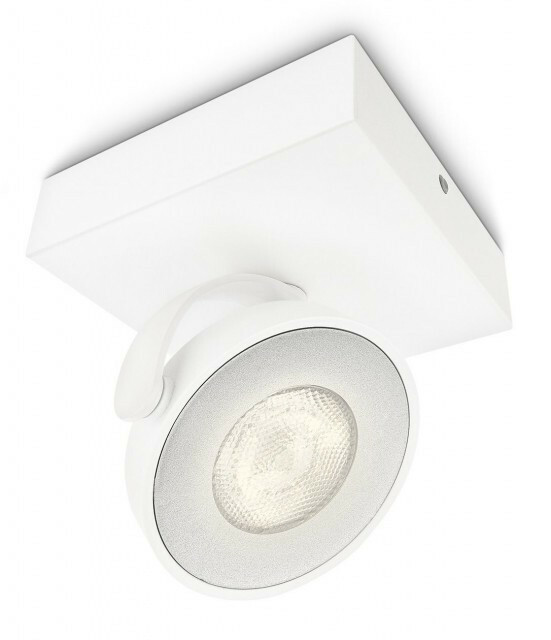 It has an easy-mount ClickFIX system and works with any kind of dimmer.